“Green” fantasy has its price: and the poorest pay it. In a number of posts we’ve covered Bjørn Lomborg’s critical analysis of how runaway renewables policies – and the spiralling power costs they cause – are having a devastating (and disproportionate) impact on the poorest in developed economies – and how they threaten to lock the poorest billion or so of our planet’s inhabitants into a future of misery, poverty and darkness (see our posts here and here and here). In assessing the costs, risks and benefits of environmental policy, Bjørn Lomborg has always tried to provide balanced, detailed analysis supported by facts and evidence. The economic choices we make – about allocating scarce resources to unlimited wants – should – as Lomborg consistently points out – be made taking into account all of the costs weighed against properly measured benefits (see our post here). When it comes to renewable energy policy, however, fundamental economic doctrine has been simply thrown to the wind. The wind industry and its parasites tout spurious and unproven benefits in terms of CO2 emissions reductions – reductions which cannot and will never be provided by a generation source delivered at crazy, random intervals that adds nothing to the entire Eastern Australian Grid hundreds of times each year – and which, therefore, requires 100% of its capacity to be backed up 100% of the time by fossil fuel generation sources (see our posts here and here). Despite (or, rather, because of) its mad wind-rush Germany has seen CO2 emissions increase, as it has had to build and re-commission coal fired plants to provide reliable base-load power to keep the grid up and running (see our posts here and here). Not content with claiming fictional environmental benefits, the wind industry and its parasites dissemble and obfuscate on the true and hidden cost of wind power – only ever pointing to the wholesale price – when it falls – on those rare occasions when wind power output contributes something meaningful to the grid – which is usually at night-time, coinciding with the overnight plummet in demand, naturally resulting in a depressed wholesale price. The industry never discusses the costs that retailers pay through their Power Purchase Agreements – that guarantee minimum prices to wind power generators and which – at $90-120 per MW/h – are 3-4 times the cost of power from conventional sources. And it’s the price retailers pay under their PPAs and pass on to consumers that really matters to power punters. Wherever there’s been any significant investment in wind power, retail power prices have gone through the roof – witness Denmark, Germany and South Australia – which all jostle for the top spot on the table for the highest power prices in the world. See the table at page 11 in this paper: INTERNATIONAL-PRICE-COMPARISON-FOR-PUBLIC-RELEASE-19-MARCH-2012 – noting that the figures are from 2011 and SA’s retail power costs have risen significantly since then (and see our post here). between paying the power bill and eating. 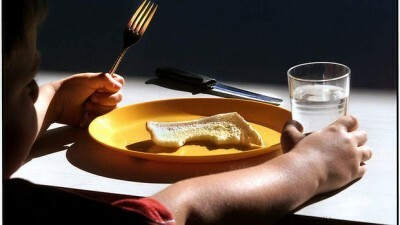 With thousands of Australian households living without power – having been chopped from the grid simply because they can no longer afford what used to be a basic necessity of life – and thousands more suffering “energy poverty”, as they find themselves forced to choose between heating (or cooling) and eating – Australia risks the creation of an entrenched energy underclass, dividing Australian society into energy “haves” and “have-nots”. For a taste of the scale (so far) of a – perfectly avoidable – social welfare disaster, here are articles from Queensland (click here); Victoria (click here); South Australia (click here); and New South Wales (click here). Slapping a further $50 billion in REC Tax on top of already spiralling Australian power bills – all to be directed to wind power outfits over the next 17 years can only add to household misery (see our post here). The Germans launched into massively subsidised wind and solar power, causing power prices to rise 80 per cent in real terms in little over a decade. Unable to pay skyrocketing power bills, 800,000 German households have been disconnected from the grid – with that number growing by 300,000 each year. In addition, almost 7 million German households are suffering “fuel poverty” – forced to choose between eating or heating. Large numbers of them have headed to their forests, stealing wood to cook with and heat their homes (see our post here). The impact of spiralling power prices hits the poorest the hardest and hits those in the developing world the hardest of all – depriving them of the opportunity of ever having access to cheap and reliable power. Here’s a piece from Forbes detailing how it’s the poor that suffer most from the costs of “green” fantasies. Renewable energy is coming to an economic crossroads, one that could have dire unintended consequences for some of the most vulnerable populations – the poor and the elderly. As renewable energy expands, activists around the world are calling for programs that would supplant conventional fuels – coal, oil and, to a lesser extent, natural gas – with renewable sources such as wind and solar. Programs such as the misguided fossil fuel divestiture movement, ignore the costs that forcing a move away from fossil fuels imposes on those who are slowest to embrace the change. While there are benefits to diversifying our fuel portfolio, in its current form, the growing use of renewables requires a subsidy from fossil fuels. Africa accounts for 5 percent of global emissions. America’s per-person emissions are 20 times higher. Successful divestment would freeze African economic development while having little effect on global emission levels. Africa has not taken part in the energy revolution that has boosted education, comfort, income and life expectancy. 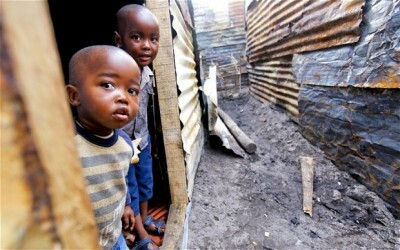 According to the World Bank, only 24 percent of Africans have access to electricity. The rest must resort to burning dung and wood in their houses and huts, leading to horrific rates of lung and heart disease. Energy poverty is stunting the sort of economic growth that Africa needs if it is to move from 59 years of life expectancy to the 79 that China has achieved through 20 years of economic growth fueled by intense, government-backed promotion of carbon-based electrical capacity. It isn’t just Africa, though. The cost of increasing renewables use is being borne in developed countries, too. On Sunday, the New York Times had a story about the expanding use of renewables in Germany. Germany leads in the industrialized world in renewable energy production, and it will soon get 30 percent of its power from renewable sources. “Green” dreamers are keen to ensure these boys have a miserable future. Thanks STT for making this Forbes article available for our attention. Green dreams & renewables are financed by the ‘continued poverty of the poorest nations’. Turbine huggers have a lot to answer for, turbines are not clean, not green and wind is not free. How many times must it be said wind energy can’t be stored and can’t function without traditional energy backup. It doesn’t energise 27,000 homes. It doesn’t provide long lasting jobs for all. Industrial wind energy facilities cause harm to our communities where our poor are fined or disconnected from unaffordable energy grids and feed-off subsidies from where turbines and energy grids are non-existent. Feed-off circumstances where opportunities to dream are denied and poverty grinds on. Yet these companies are seen to globally look good splashing community funds or whatever, in fruitless gestures of goodwill. Are seen to hold community consultations where questions may be asked and answers rarely received; Planners and social managers love these perpetuations. The self-congratulatory pat on the back for putting gravel access roads in areas of remoteness, supposedly to also help villages. Reality in a particular India rural farming area is far from ‘feel-good’ when wild pigs ravage the crops because turbines and wildlife can’t co-habitate. It’s a green dream, an unrestrained fantasy. Is the whole renewable system a ridiculous master plot to subdivide communities, nations and to make some people supposedly very rich all to save the planet and save people near coal mines? Or simply utter leadership stupidity that ignores and forces the poorer people everywhere to subsidise exorbitant costs of green dreaming. Stupidity that calls physical harm a nocebo effect, rural dwellers collateral damage and a renewable energy target the answer to all our economic and energy prayers.